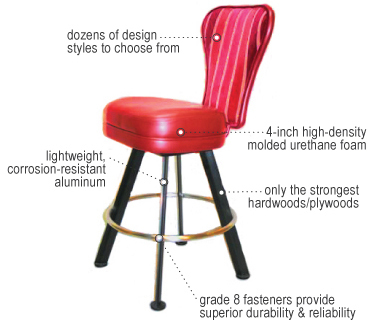 When it comes to providing your clientele with high quality hospitality seating, you’ve come to the right place. Refined casino, hotel and restaurant customers are happier customers when they are comfortable customers. And comfortable customers stay longer, play longer, and that means a full house for you. Why choose Pinnacle Furnishings over others for your hospitality needs? 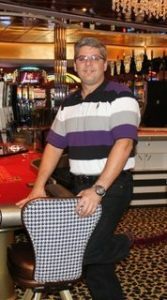 Pinnacle Furnishings has been at the forefront of casino seating, hotel/restaurant and custom seating design and production for more than 16 years. At Pinnacle, we pride ourselves on creating innovative products for all of your seating needs, keeping your players in the game longer and your guests comfortable longer. I want to personally thank you for taking the time to research our company and the furniture we create. Premium custom designed products, pride in American craftsmanship and manufacturing, unparalleled performance in customer support and attention to detail, that’s who we are at Pinnacle Furnishings. Our company motto of not leaving “Good Enough” alone but making it “Better” comes from our desire to see that every customer gets the highest quality custom designed product. Pinnacle Furnishings, at the top of its game in hospitality seating design and production. Web design and web hosting by ConnectNC, Inc.